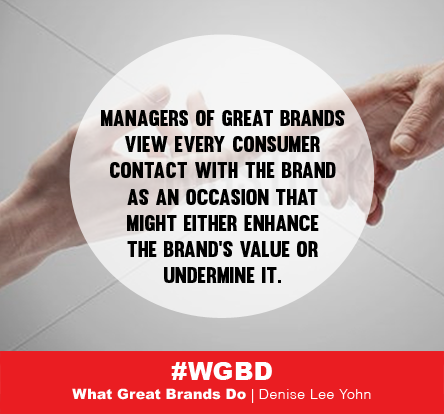 From What Great Brands Do: Managers of great brands view every consumer contact with the brand as an occasion that might either enhance the brand’s value or undermine it. And they take brand touchpoints that are often overlooked or not considered important and use them to express their brand. Looking for inspiration how to transform your brand touchpoints from good to great? Check out my virtual collage of great brands in action here.